The Freedom Road Socialist Organization has to report, with considerable regret, that two districts, Minnesota and Chicago, have chosen to split away from our organization. They have been joined by a handful of individuals from other districts. This means the loss to Freedom Road of some fine comrades, including three members of the National Executive Committee, and of some outstanding political work, most notably among the urban poor. Splits are rarely beneficial, however necessary they may appear at the time. Some members of Freedom Road were active in organizations of the new communist movement which arose in the US in the 1970s, many of which experienced wrenching internal struggles and splits. None of the groups born of these splits survived to become larger than the original organization. In the current period, one in which many practical and theoretical questions remain for revolutionary socialists and Marxist-Leninists to tackle, weakening the organized forces of the revolutionaries is a grave disservice to the struggle. FRSO expect that polemical statements from the split grouping will be forthcoming, explaining their actions and laying out the story they will be telling anyone interested–and themselves–about what happened. As is always the case in such internal battles, the issues in the split in Freedom Road are complex. We will make a few brief points on this matter. A basic issue which must confront every revolutionary socialist and Marxist-Leninist organization is the inevitable existence of different trends, different currents of thought within a group’s ranks. FRSO chose to recognize such trends in an effort to give them play and see what could be learned from them. By harnessing them, we sought to avoid paralysis and sharp division. We will have to engage in a deeper sum-up of the reasons for the failure of this effort, but the idea that a given trend must seek either to crush its opponents or split from them holds little attraction for us. The immediate cause of the split was bitter opposition by the comrades from the split grouping to an initiative by one of the other trends within Freedom Road. This trend advocates a position called Left Refoundation–exploring new approaches to party building and to cooperation with other revolutionary and self-identified socialist forces in this country, both organizations and unaffiliated individuals. Such exploration was denounced by the split grouping as a “social democratic” betrayal of Marxism-Leninism. (The split grouping has chosen to recast other differences in FRSO’s history as ones between their “M-L” line and “social democracy,” such as different estimates of the state of the labor movement and the best way to strengthen the fighting capacity of the working class. A deep underlying ideological difference which informs all of this concerns how to sum up the crisis of socialism. 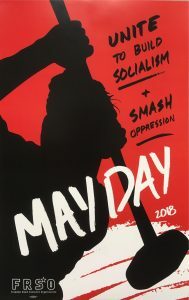 Freedom Road adopted a “Statement on the Crisis of Socialism” at our 1991 Congress and reaffirmed it over the strenuous objections of several comrades from the split grouping at our most recent congress, in 1997. In short, FRSO has long held that there exists a crisis of socialism, based on actual and deeply rooted internal contradictions in the model of socialism established by the Russian revolution. Many of the most vocal of the split grouping’s members deny that any crisis exists. They uphold the idea that the Soviet bloc was socialist until its complete collapse in the 1989-1991 period, in contradiction to FRSO’s line and tradition, which are based in the Maoist critique of the Soviet Union. And they say that all the critical and sobering developments in the world socialist movement in recent decades call not for deep analysis and new thinking but only for more rigorous application of the classic texts of Marxism-Leninism. What will happen now? Both Freedom Road and the split grouping will face challenges in building organizational structure and fighting erosion of morale among comrades who find themselves members of a group significantly smaller than the not-so-large one they were in just months ago. For our part, we do not want a big ongoing political conflict with the comrades of the split grouping. It would drain energies better spent elsewhere and increase the level of antagonism which comes with any split. FRSO comrades will surely find ourselves working and fighting side by side with people from the split grouping and we don’t want our differences to hurt the struggle. 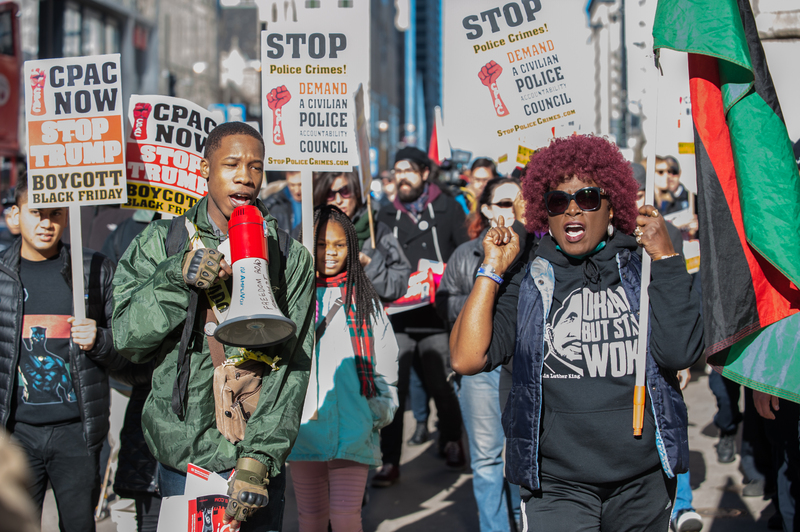 The loss of the comrades from the Chicago and Minnesota districts and their supporters is a setback for the Freedom Road Socialist Organization. In turn, the weakening of FRSO is a setback, though we cannot claim it is a monumental one, for the struggle overall. As with any setback, we will struggle to understand and overcome it. We have the line and practice accumulated in the course of the 15 year history of our organization to draw on. We will continue to dedicate ourselves to building the popular movements against white supremacist US imperialism and to winning the advanced fighters from those struggles to socialist revolution.